And for the kids being fed by their parents. they can’t even hold their heads up. baby birds digest their food quickly. The larger the babies grow, the more food they require. every day just to stay alive. their weight in fish every day. of protein-rich insect food every hour. Young Hawks are fed about once an hour. the inclination of the individual bird. 1,217 times between 4:15 a.m. and 8 p.m.
That’s about one trip every 47 seconds. It’s astonishing how much a young bird can eat. was experimentally fed all the earthworms it would eat. 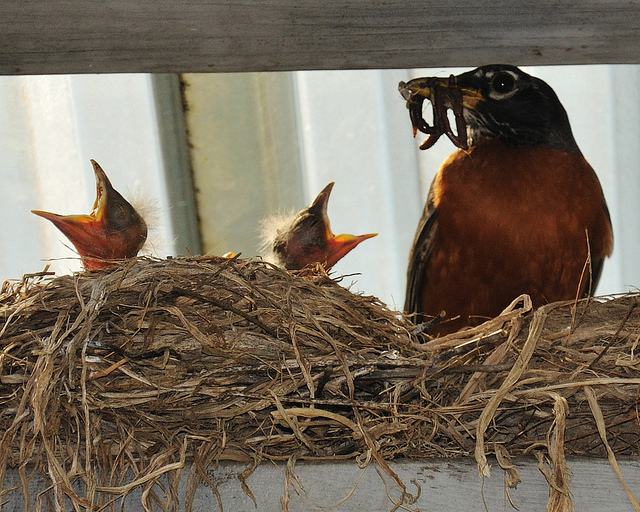 The Robin ate 14 feet of worms. to nourish our kids with spiritual food. Well, do we feed the word of God to our kids every day? Kids, are you eating well? Are you reading and listening to the Word of God? 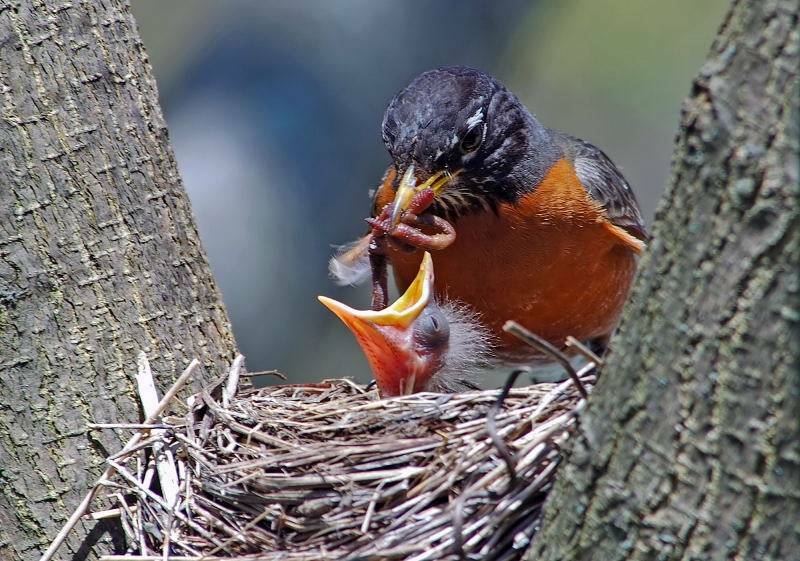 This entry was posted in Birds, Kid's Section, Orni-theology and tagged A. J. Mithra, Birdwatching, Christian, Christianity, Feeding, Home School, Inspiration, Kids, Nature, Youth. Bookmark the permalink.